Drop-ins are encouraged! $50 for all four classes or drop in to join us for $15 per class. This program was designed for all you expectant moms who want to maintain a healthy pregnancy and be better prepared – both physically and mentally – for labor and delivery. 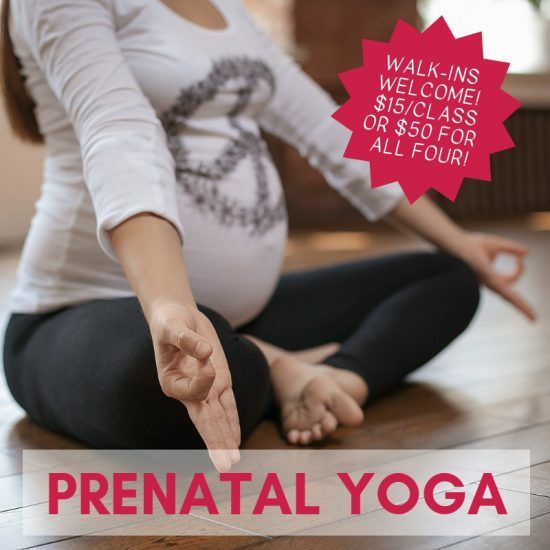 Prenatal instructor, Erin Pickus will teach you yoga poses to support each stage of your pregnancy, as well as breathing and relaxation techniques. You’ll also gain an understanding of how you can safely practice yoga during your pregnancy in any class. Classes will be held on Saturdays from 9:30 – 10:45 am on the following dates. Call 440-247-4884 or visit our website to reserve your spot!